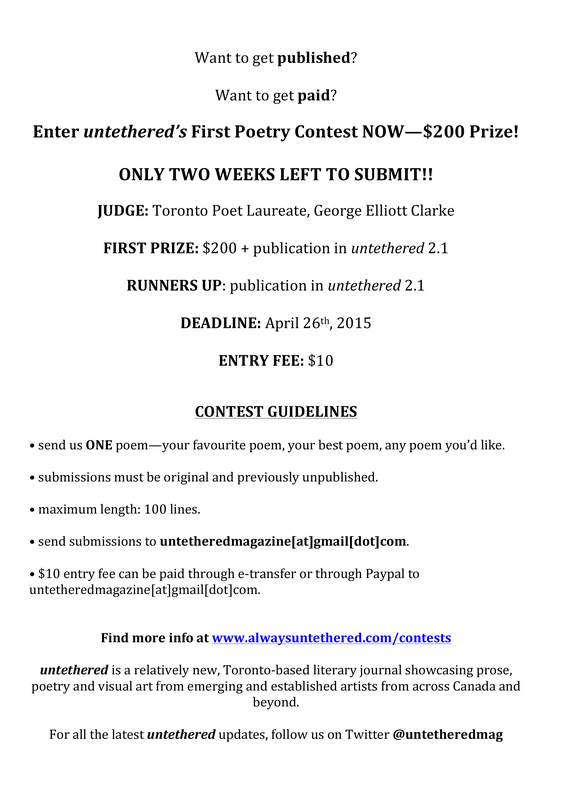 Less than TWO WEEKS until our poetry contest deadline! We’re fifteen days into National Poetry Month, so that means you’ve written fifteen new poems so far, right? Right? Send us your favourite poem and you could WIN $200!